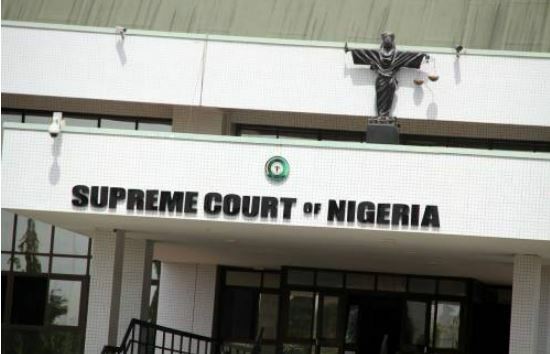 ABUJA—The Supreme Court, on Friday, dashed hopes of the All Progressives Congress, APC, to secure an order that would have compelled the Independent National Electoral Commission, INEC, to recognize all its candidates in the forthcoming elections in Rivers State. The apex court, in a unanimous verdict by a five-man panel of Justices, declined to dislodge the high court’s judgment that ab-initio barred the APC from conducting its Ward, Local Government and State congresses in Rivers State, pending the determination of a suit that was filed by 23 aggrieved chieftains of the party. The APC, however, proceeded to conduct the primary elections, even as it got an order from the Court of Appeal in Port Harcourt, to stay the execution of the high court order. Among beneficiaries of the primary elections included Prince Tonye Cole, whom the party had since presented as its governorship flag-bearer in Rivers State.